Chai Walli from Melbourne, specialises in high grade Ayurvedic Indian teas. (Ayurveda ( /äyərˈvādə) is one of the most ancient forms of holistic well-being which is still widely practiced in India today. Hand crafted by Founder, Uppma Virdi, the teas are completely natural, Ayurvedic, sugar free, preservative free, vegan and have caffeine free options. Starting from humble beginnings, blending teas in Uppma's family home kitchen, Chai Walli teas are now a house hold favourite. Forget sugar, Jaggery is the recommended sweetener for the Chai Walli range. It is used in Ayurveda as a natural sweetener and is used in many Indian cuisines. 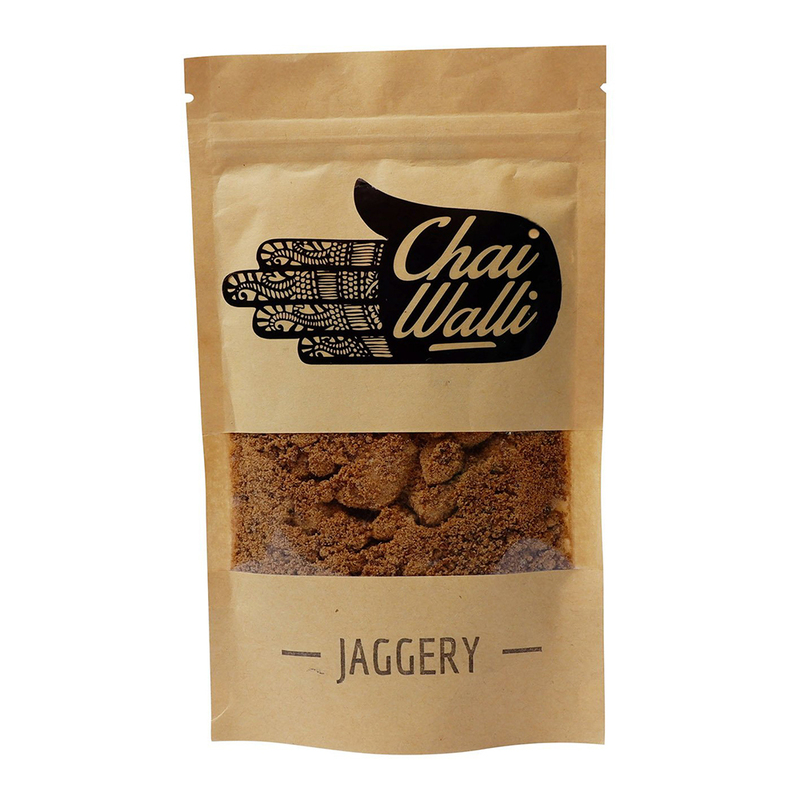 Jaggery adds a malty and caramel sweetness to bring out the delicious flavours of the chai blends. You don’t just sip a Chai Walli tea but you enter a different world. Ingredients include organic natural sugar from sugar cane. 100% gluten free, vegan, natural and preservative free. Presented in a Chai Walli pack.